While we’re still getting things up and running, it’s much easier to rate a race on facebook at http://www.facebook.com/runlong.co.uk – head over there and have a look! Even through novice eyes, this run was well organised – bus to the start, plenty of info. The race brief got the point across, despite the very loud thunderstorm overhead! It was clear the formula they used was tried and tested. It did feel a little bit commercial though – while many races will be run on a commercial basis, it’s nice to feel some passion too (sorry RD, I’ve no doubt you’re passionate about your races but I’m still annoyed about only getting gels and pink water at the last aid station!). Say ‘coastal run’ and you may think flat beaches and sunshine. Fool! The route is non-stop short ups and downs for the first and last sections, with a few miles of flat tarmac in the middle. While navigation was in theory simple (keep the sea on your left), there were a few sections where I felt a little bit unsure but hadn’t really been keeping track of my map. I also managed to go wrong on one of the road sections and missed the photographer! Again though, the route made the most of Cornwall’s spectacular scenery and getting to Lands End in time for sunset was well worth the extra time on my feet. 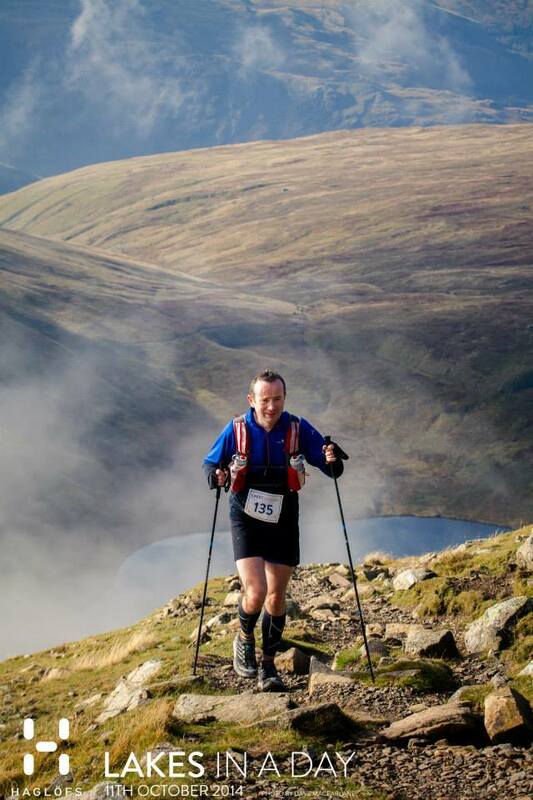 The full race report from this event is here: http://doarunner.wordpress.com/2014/10/13/lakes-in-a-day/ Leaving out the boring pain/human suffering bits however, here is a short assessment of Open Adventure‘s Lakes in a Day awesome 48 mile ultra. As expected from OA, organisation was first rate. The experience all involved had in outdoor events came across in that all bases were covered from start to finish. Equally, we were well informed from the outset. The high number of emails sent out in the run up was a symptom of this being the inaugural running – that will no doubt be squared away for next year – but I’d always rather have too much info than too little, no dramas. This run was nails, in a good way. With 12000′ of climb, most of which in the first 30 miles, it would always be hard. This section spread the field out nicely to ensure we all had to navigate. The second ‘half’ was mostly flat but meant there was a good race for the front runners all the way to the finish. The scenery was amazing, taking in some of the best the Lakes (and indeed the UK) has to offer. The route was mostly unmarked (and advertised as such), with only a few marked areas. Nav was at times a challenge (in fog or the dark), but not so tough as to be an impediment. Advertised as 48 miles, that would always be conservative once you included ups, downs and wiggles (not to mention nav faff), so I expected 50 which turned out about right for the fastest runners of the day. With the magic spreadsheet returning a strong 8.6 out of 10 (highest so far), this race is one to have a go at – if you’re fit and well prepared. Navigational ability is a must, as is planning, but if you get it right you’ll have chance to enjoy some amazing views. Carry enough food/water to get you between check points if you make a poor route choice, and have a look at the route (at 1:50,000 on the event website) and you should be good to go. Entries are open now. Overall Impression. Self explanatory, how you felt about the race at the end of the event (or more likely, a couple of days after!). Organisation. How well organised the event was as a whole (i.e. were the organisers all over everything). Information. How much information the organiser provided, and whether there was anything else you would like to have known. Difficulty. Difficulty of the route (more difficult being a higher score). Scenery. How awesome the views are on the way round! Route. Route selection. Is it all on roads, or does it take in some of the best bits of the local area. Markings. If the route is marked, how well is it marked? (The race won’t lose out if it’s unmarked). Food. If anything other than water is provided at aid stations, how well does it meet your needs? (Again, the race won’t lose out if it doesn’t provide feed stations). Chirpyness. This relates to marshals and aid station personnel. How chirpy are they when you come in hanging out? Chatability. This relates to other runners. How friendly and willing to chat are they? No adjustment is made for the race length. Repeatability. Similar to overall impression but taking all elements in to account, how likely are you to do the race again? 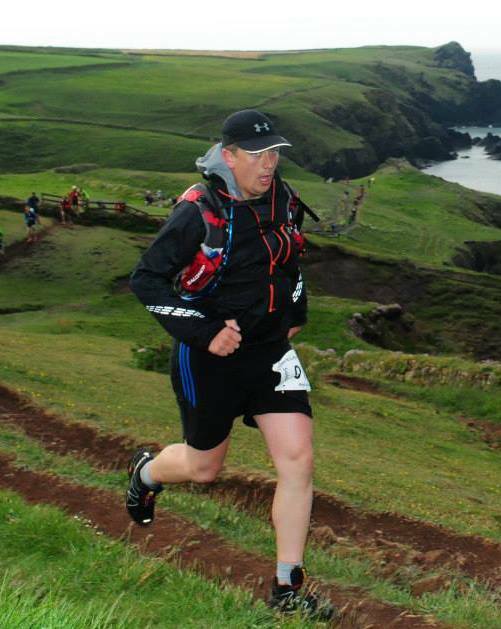 If you’ve done a race recently, let me know what you think! If you have any thoughts on other categories, let me know too.